Shimano XT BR-M8020 H01A 4 tłoczki hamulec tył PROMOCJA! 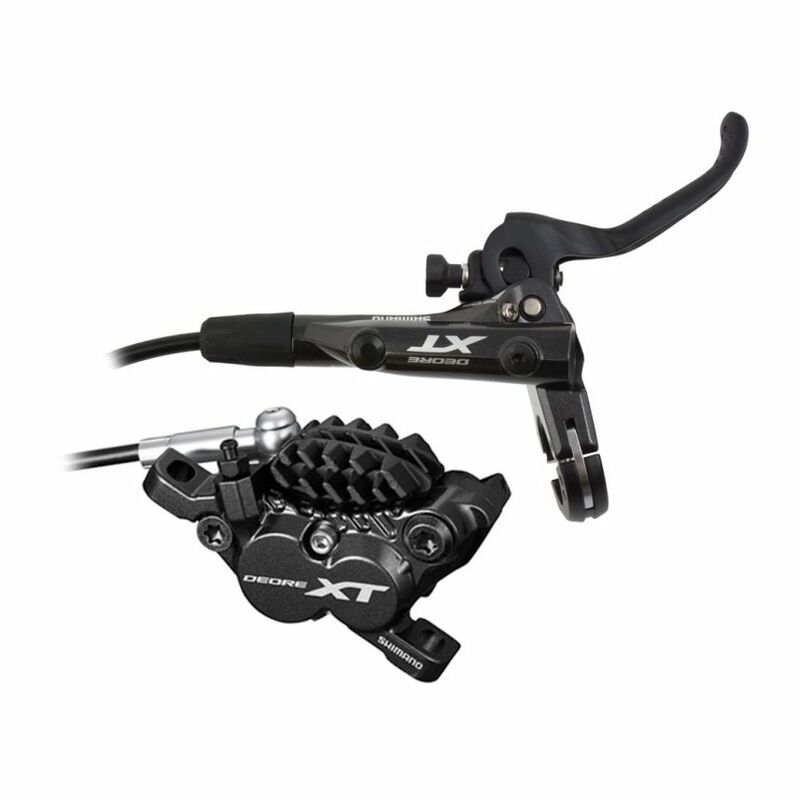 The new hydraulic brake caliper 4-Piston is in line with DEORE XT components designed for a more aggressive riding style. The brakes feature Shimano’s ICE TECHNOLOGIES heat management system through its caliper design, compatible rotors and pads. Consistently predictable and powerful, the trail-rated DEORE XT M8020 retains that standard while upgrading with a lighter, cleaner and more durable integrated 4-piston master cylinder. 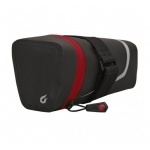 This gives a sleeker look, saves weight and frees up valuable handlebar space. Refined Servo Wave levers provide improved feel and feedback, offering high power with a short brake pull. 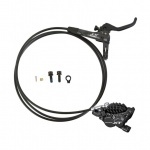 Like on past models, DEORE XT brakes retain tool-free reach adjust and Free Stroke adjust, whilst a narrow clamp band offers increased lever adjustment. 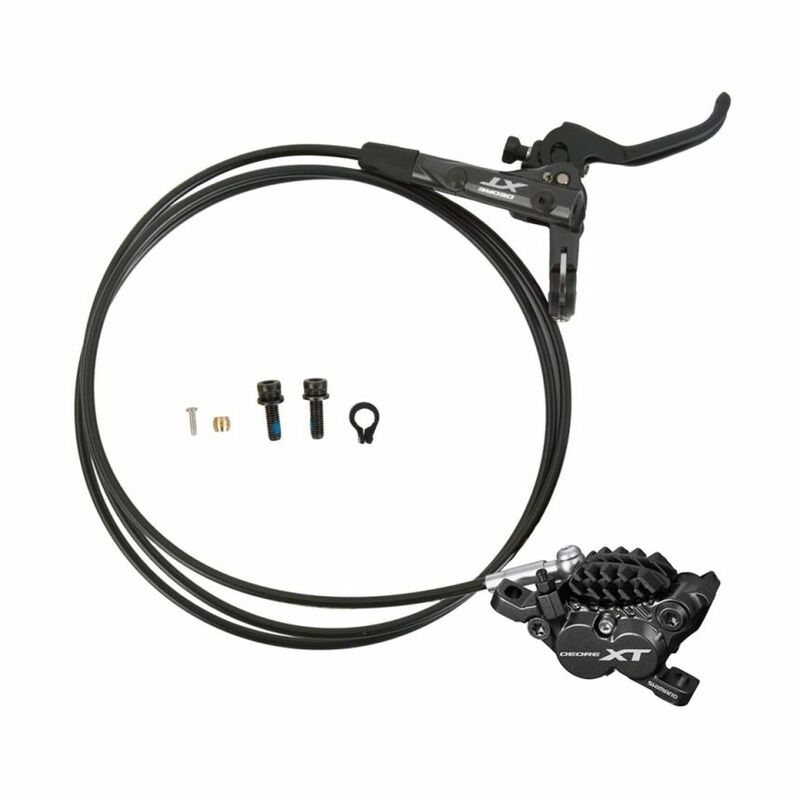 The Rider Tuned system accommodates 140 to 203mm rotors and multiple brake pad choices.